Here we are again, another grey, rainy Monday morning. Let’s recap of happier times from the weekend just gone! I actually had quite the awesome weekend. 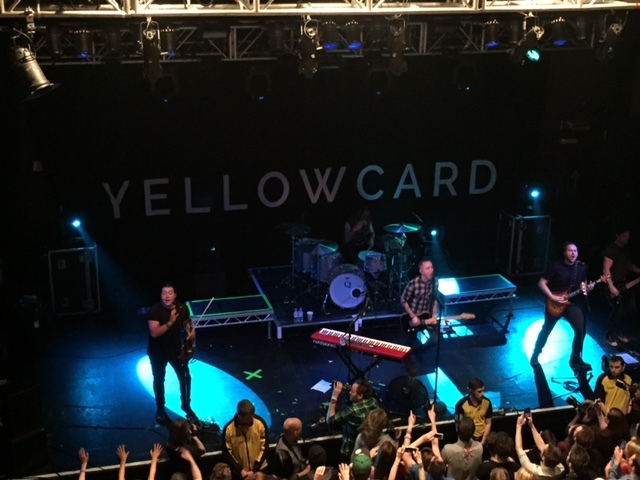 On Friday night I went with my wife and friends to see Less Than Jake & Yellowcard live at the Bristol o2 Academy. We’re apparently a lot older than we were the last time we saw Yellowcard a couple years back as the last thing we wanted to do was get in the crowd, whereas the women we were with were in touching distance of the band. Still a good gig and good fun. A little annoying that we were kicked out of the venue after the gig and told we would have to queue to come back in and pay for the club night that followed the gig, something we’ve never had to do before. So with that as I wasn’t drinking I didn’t fancy paying to get into a club to not drink, so I drove home with my wife while the rest of the guys stayed out in town for drinks. When back at home as it wasn’t too late so I watched 2 episodes of WWE Total Divas. Saturday I woke up and watched the Australian Grand Prix qualifier. I was left home alone for a while so I decided I’d watch How to Train Your Dragon 2. I really enjoyed it and thought visually it looked stunning. Dreamworks animations can really create some impressive worlds. 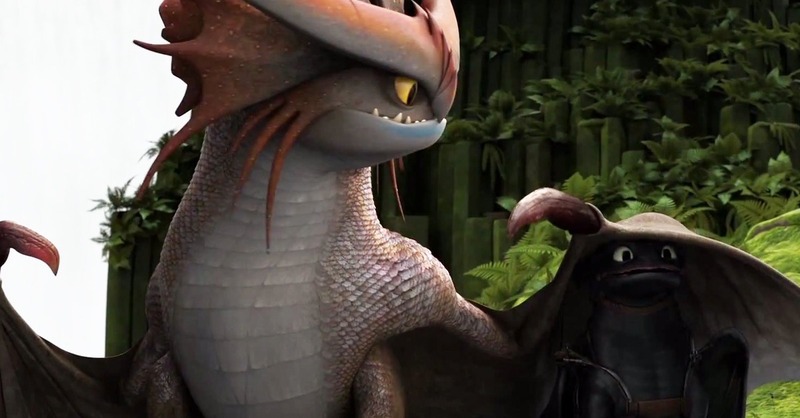 And basically I want a Dragon like Toothless. After that I decided to check out an older Anime I’d heard was good and watched the first 2 episodes of Death Note. Have to say from what I’ve seen so far of it, I really like it and like the idea of it. I’ll carry on with this one I think. After that I headed over to a friends house to watch England vs Scotland in the Six Nations, and from there went to Tesco to meet my wife to get some takeaway food. We then watched Disney’s Tangled while devouring pizza, wedges and chicken nuggets. We finished the night off with 2 more episodes of Total Diva’s on the WWE Network. Sunday I was hyped for the first race of the F1 season. I didn’t expect much change and that was the case with Mercedes taking 1st and 2nd rather comfortably. Good to see Ferrari competitive again but horrible to see McLaren in last. Such a fall from grace. Props to Sauber too after the court battles in the weeks leading up to the first race to put that behind them and get respectable point haul in race one. Suppose it helps when only 16 cars start the race. After the F1 as it was Mother’s day I popped home to see mum, give some flowers and spend some time. 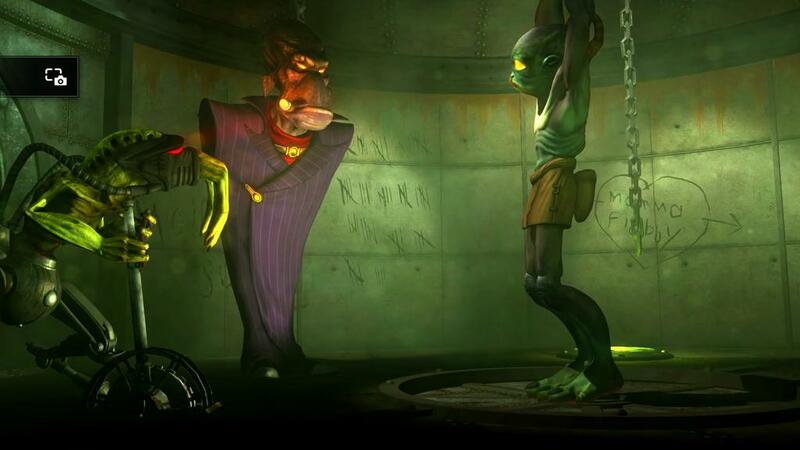 Once back home I went to the PS4 and completed Abe’s Oddysee: New and Tasty. Apparently I didn’t save enough Mudokons and got the bad ending. A bad ending indeed. Didn’t expect that to happen at all. After completing that I started another PSPlus game but for PS3 in Yakuza 4. So far so good, but all it reminds me of is how badly I want Shenmue 3. Next weekend I’m off to Wembley to see Bristol City in the JPT Final! Woo! I had a pretty social weekend, having friends over Friday night, being out watching the Rugby on Saturday, and then obviously Mothers Day on Sunday. This meant there wasn’t much time to geek out. But I still managed to squeeze in a little play time. 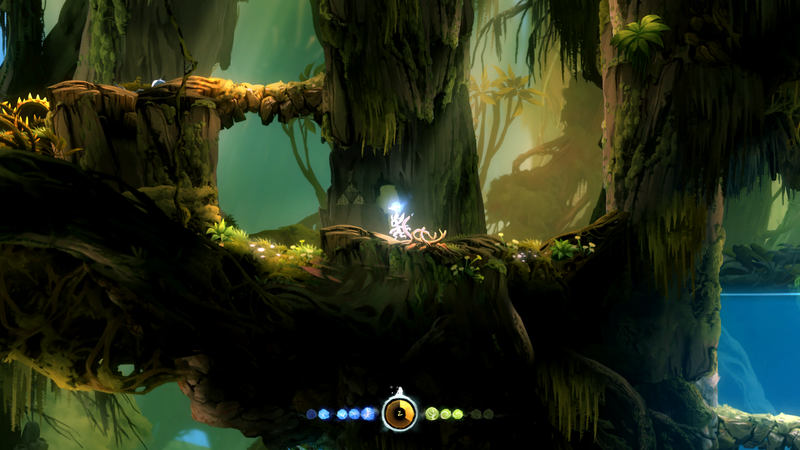 I continued playing some more of Ori and the Blind Forest, and after my first impressions, nothing has really changed on how I feel about it, it’s still an amazing game. 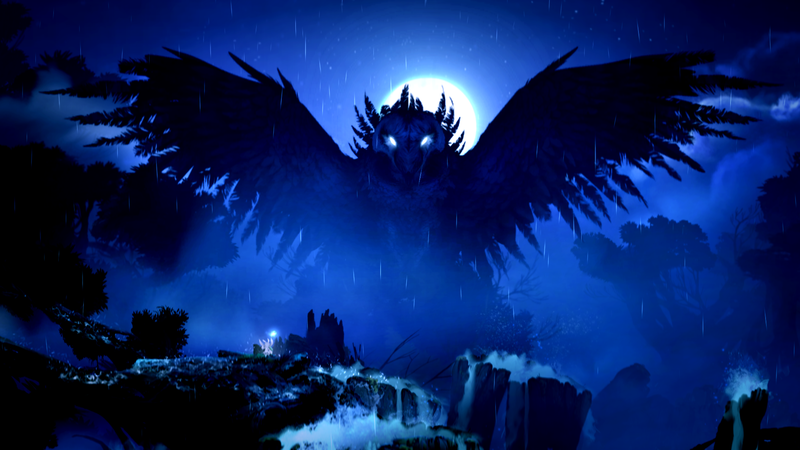 The difficulty has ramped up a little bit, but I don’t actually mind it, if anything video games in general are too easy nowadays anyway, so it’s nice to come across a bit of a challenge. There is one particular level that proved to be pretty intense, and as you might expect it’s a water level, well kind of. There just seems to be something about games and water levels being difficult. In this one you have to escape an area whilst it’s being filled with water. The sequence is only about one minute long, but it’s a very intense one minute, and one where you have to put to use all the tricks you’ve learnt so far and can’t put a step wrong. It took me around 10 tries to finally get it finished, and I was pretty relived when I did. But it was an excellent sequence and I hope there is still more of the same to come. As I’m sure a lot of you are aware the latest update for Xbox One finally added the ability to take screenshots. So I’ve been putting this to use a fair bit in this game. The feature certainly came in handy when I came across a pretty nice little Zelda Easter egg whilst playing, and I’ve heard about a few others being hidden in the game too, so I will be keeping an eye out for them. Saturday late mornings is quite often a time for us to catch up on a bit of TV, and at the moment it’s usually the time to catch up on Fortitude. We are a fair way in to the series now – I think it’s up to episode 7, and things are starting to get very good – not that they haven’t been up to now. If you don’t know what Fortitude is, it’s a dark drama series set in the melting Arctic, featuring psychological and thriller elements. It tells the story of the small idyllic town of Fortitude, whose peaceful existence is shattered after a brutal and shocking murder. Above-average temperatures have lead to a record ice melt revealing secrets long since hidden beneath the frozen landscape. Sheriff Dan Anderssen leads the investigation and is forced to work alongside DCI Morton, a detective who has flown into town from the mainland to contribute his forensic expertise. As the search for the killer progresses, their list of suspects – and suspicions of each other – grows. The whole series has been very gripping and intense, and in the last few episodes it has really stepped up with the weird/gruesome factor. I’d definitely recommend giving it a watch. Sunday evening I continued on with my new play through of Mass Effect. I was actually wanting to play Elite: Dangerous, but there was a pretty hefty update and I couldn’t be bothered to wait for it. But I will probably get back on that this week. With Mass Effect I’ve just got to the point of meeting Liara T’Soni, so I’m pretty much done building my team up. One thing I’d forgotten about the game was how annoying it can be when your teams mates don’t stick in any cover and just stand around taking shots. I’ve tried to move them in to more tactical positions, but it seems like they’re content to just stand with their head in plain sight waiting to die. This has obviously made some fire fights a little more intense as I’ve been left fighting by myself on some occasions – stupid Garrus (he’s usually the first to die).